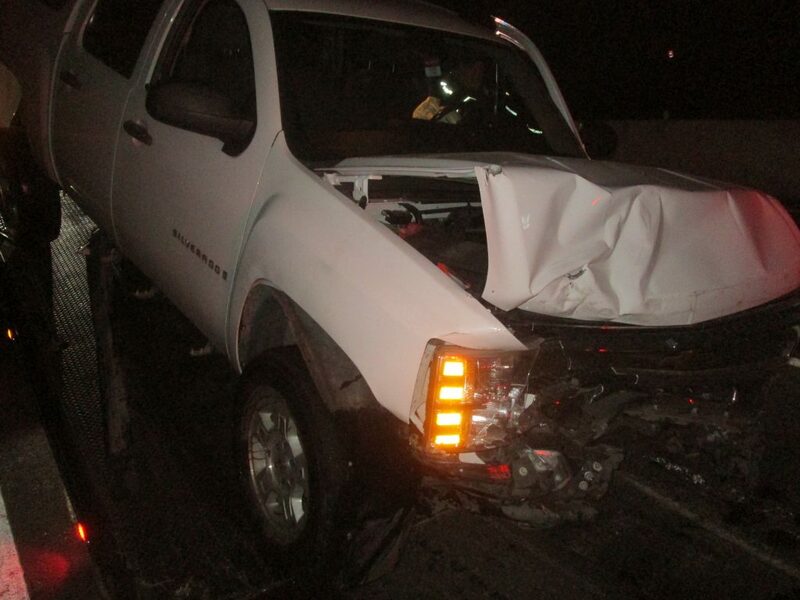 WASHINGTON COUNTY — Two people were seriously injured in a three-vehicle crash on Interstate 15 just after midnight Monday. The crash was reported at 12:15 a.m. involving a Mitsubishi Lancer passenger car, a Chevrolet Silverado pickup truck and a semitractor-trailer just after the Exit 16 on-ramp on northbound I-15. 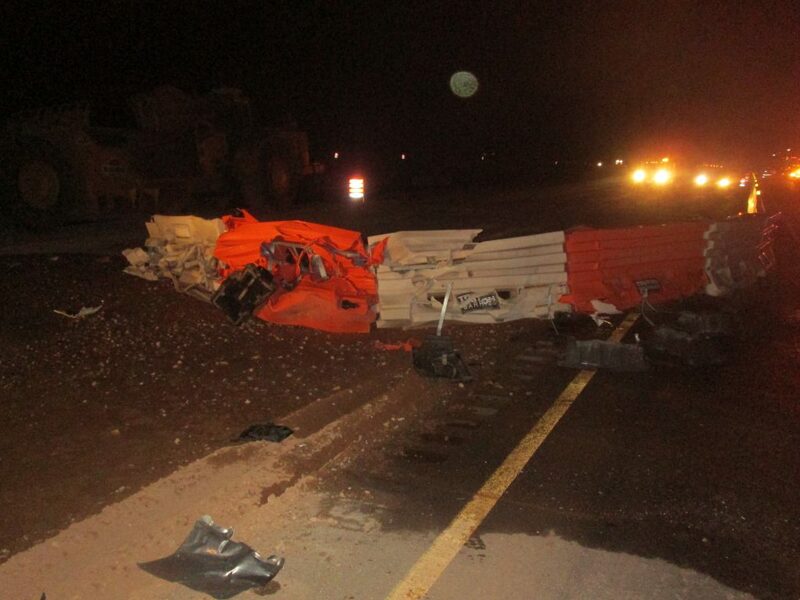 The initial crash involved only the Mitsubishi, which was heading north through the road construction in the area, Utah Highway Patrol trooper Grant Hintze said. As the Lancer hit the barriers, it spun around and came to rest facing south in the outside lane. The impact of the crash cut the electricity to the car’s front end, disabling both its headlights and front hazard lights. The driver of the pickup truck was northbound shortly after the crash, Hitnze said, explaining that due to the Mitsubishi’s lack of functioning lights, the driver didn’t see it as he was going about 70 mph through the area and hit the car head-on. The Mitsubishi then spun around about 720 degrees, and the pickup became partially lodged in the semi’s trailer. The second impact severely injured the front passenger in the Mitsubishi, who Hintze said suffered major facial lacerations and was experiencing heavy bleeding. The driver also suffered moderate injury to his knees. In the truck, Hintze said the passenger was not wearing a seat belt and hit her head hard on the dash and windshield, causing a severe concussion. The driver was wearing a seat belt and did not report any injuries. 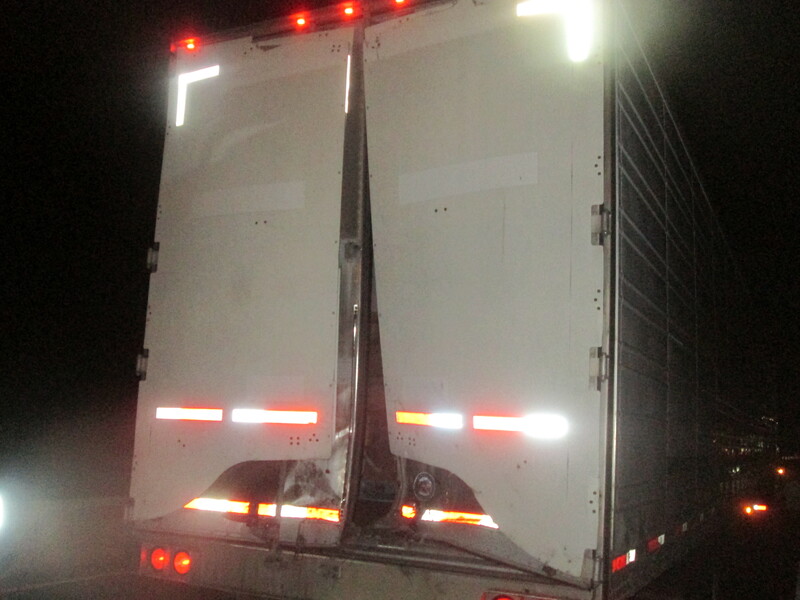 The driver of the semi was uninjured, Hintze said. Medical responders from Hurricane Valley Fire District and Washington City Fire Department arrived on scene and transported the three people who were injured to Dixie Regional Medical Center in St. George. Hintze said the passenger of the Mitsubishi required extensive stitching and the passenger of the truck was treated for a brain injury. While the exact cause of the Mitsubishi’s initial crash has yet to be determined, Hintze said troopers did find an indication of a possible contributing factor. The crash ended up blocking all northbound lanes in the area, closing the road to all traffic for about 45 minutes as firefighters, wreckers and Utah Department of Transportation personnel worked to clear the road. The overall impact on traffic was minimal, and motorists were diverted off the road at Exit 16.